Cherry Berry : Portugal: A Golf and Beach Haven? Portugal: A Golf and Beach Haven? I learned from wikitravel that Portugal was once named as the Best Golf Destination by readers of Golfers Today, a British publication. Fourteen of Portugal's courses are rated in the top 100 best in Europe. My boss, who is currently looking for a great golf destination, has been to Switzerland, Germany, and Scottland but never been to Portugal so it sounds like faro flights very well fits the bill for him because he loves tagging along his beach lover wife. Side note: In case you are wondering, my work is physically light yet multi-tasking. Apart from managing the clinic, doing accounts, inventory and helping in the reception, I also serve as my boss' personal assistant. So the answer is yes. I am in-charge of booking my boss' business and leisure trips. Wikitravel further revealed that Portugal has a rich, unique culture, lively cities and beautiful countryside. 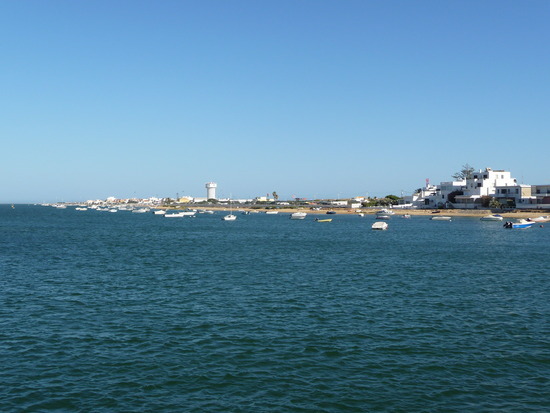 You can travel in a single day from green mountains in the North, covered with vines and all varieties of trees to rocky mountains, with spectacular slopes and falls in the Centre, to a near-desert landscape in the Alentejo region and finally to the glamorous beach holidays destination Algarve. The climate, combined with investments in the golfing infrastructure in recent years, has also turned the country into a golfing haven. Based from the facts I gathered, Portugal sounds like a perfect place for my boss and his wife, right? European golf escapade plus glamorous beach holiday equals satisfied big boss and pampered lady boss. That was sure a challenging task, thank goodness I was guided by wikitravel. I can be relied upon when it comes to beach holiday destinations but golf escapade? Nah! I don't play golf and I am 99% golf illiterate. Another side note: The only word that comes to my mind when I hear golf is caddy. LOL! It was because my ex-boss from my very first work always talks about his personal caddy during our tea breaks in the clinic. Initially, I don't even know what a caddy (also spelled as caddie) means. I had to google it secretly so that I won't appear so dumb during golf conversations. So I learned that a caddy is a person who carries a golfer's bags and clubs, and gives insightful advise and moral support. Hmmmn, sounds an interesting profession huh? Back to my unfinished business, I am free to take my annual leave anytime soon if my boss agrees with my idea of Faro escapade. Could hardly wait! Bytheway, I am also eager to know if Portugal is really a golf and beach haven. Just curious. I know how your boss is so generous Che , he is very lucky to have you who researches well what is best for your boss.